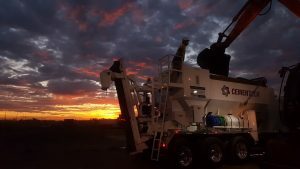 Mobile Fast Setting Concrete Production Plant - Cemen Tech Inc.
Cemen Tech, Inc. manufactures mobile concrete production plants for use with fast setting concrete. 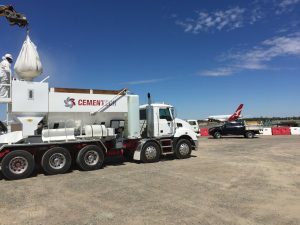 Airport pavements, remote sites and the need to produce concrete onsite are a few of capabilities of our mobile concrete plants. 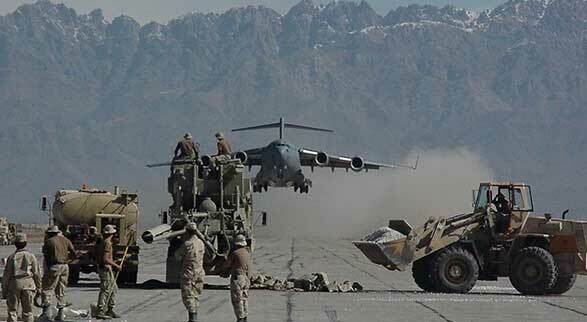 Concrete can be produced on-demand in exactly the amount needed in a fast, precise and consistent way – get your runways and roadways up and going in a matter of 1-3 hours in many cases. 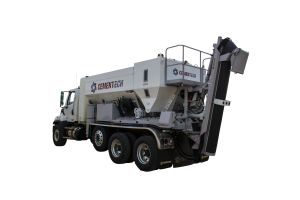 Cemen Tech has 50 years manufacturing and engineering experience in the volumetric mixing industry and as the industry volumetric manufacturer leader, the company strives to provide the highest quality concrete mixers to its customers. Our state-of-the-art technology allows for precise mix designs when you need it and where you need – anytime, anywhere. 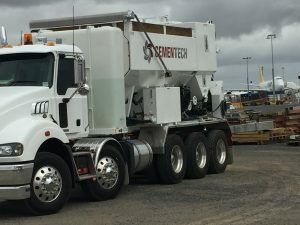 Stop waiting on traditional concrete trucks. Stop wasting time and money on overages and shortages. Versatile – Virtually unlimited applications. On-Demand – Change a mix design on the fly to pour concrete anywhere, anytime. Accurate – Product the exact mix and high-quality concrete for each and every pour. Cost – Cut your concrete costs and increase your profits. 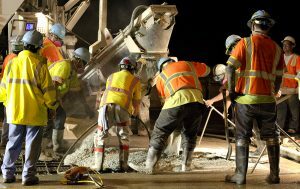 Over and over again, our volumetric mixers achieve these three critical words that are a must for concrete – accuracy, repeatability and uniformity. You will have confidence and certainty with each concrete pour. Cemen Tech currently operates in over 60 countries, services mixers across the globe, and supplies equipment to the various military. Cemen Tech believes that people, businesses, and communities around the world should have the infrastructure to access clean water, to transport goods and services, and to reliable housing. Our products provide the foundation and stability to meet the needs of a growing world in an environmentally conscious way. For further information contact us at +1.515.961.7404 or visit our website www.cementech.com, there you will find equipment specific information, videos, case studies and more resources. 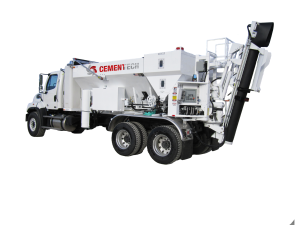 Cemen Tech mobile volumetric mixers allow you to produce concrete when you need it and in the exact amount needed. 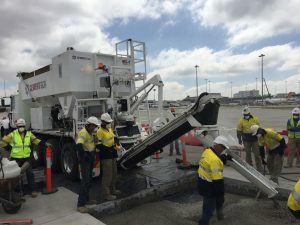 Traditional concrete trucks cannot produce the fast setting concrete needed for situations where the pavement needs to be repaired fast while maintaining the highest quality. 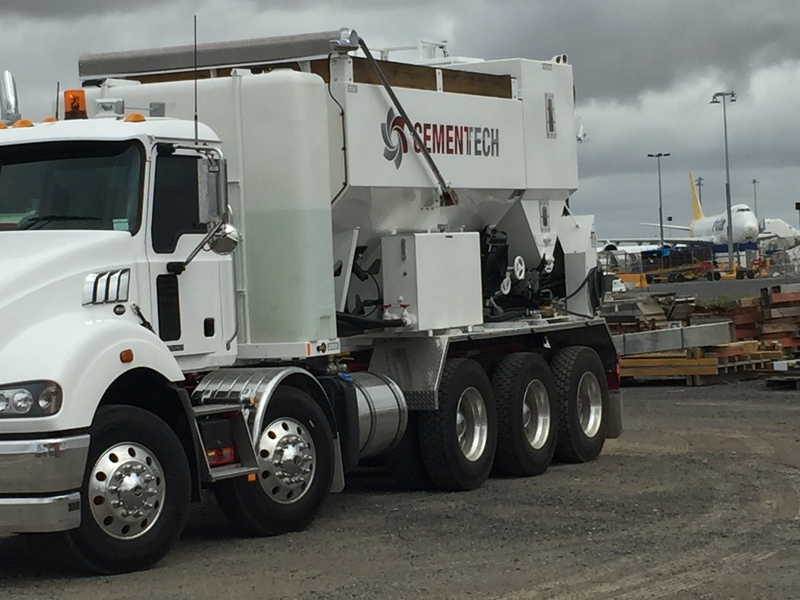 Our mobile mixers have become known as the world’s most reliable volumetric mixer with a proven track record of excellent performance, versatility and durability. Cemen Tech’s team of experts has continually led the industry with innovative improvements over the years based on customer needs.